The popular K-Tuned 4-2-1 Swap Header for K-series engine swaps is back again with some improvements. This header is capable of making very good power on relatively stock or mild engine setups. 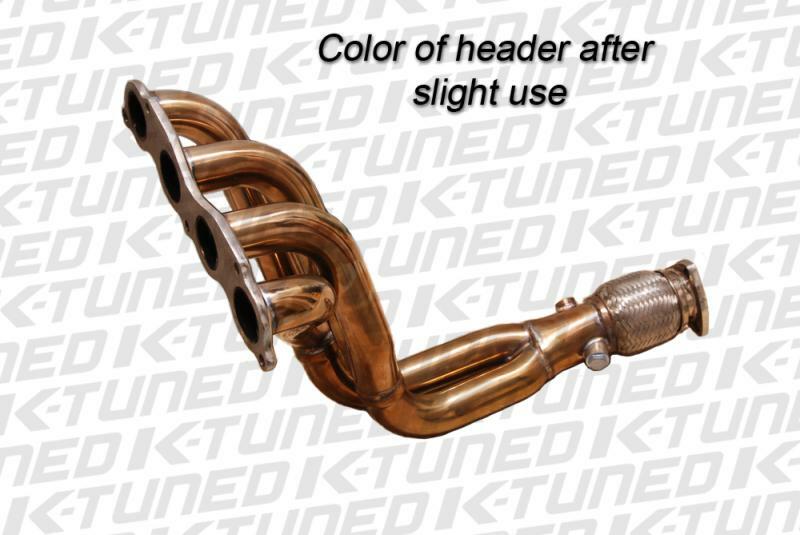 The main focus while designing our K-Tuned Swap Header was to blend excellent fitment, high quality construction and keep the price reasonable. 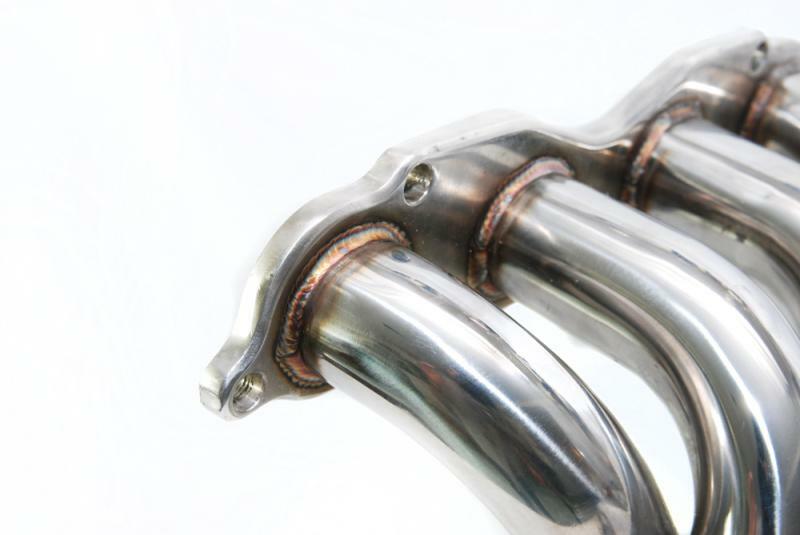 We have upsized the primary piping slightly and improved the quality of all transitions to improve exhaust flow. The primary to secondary transition now uses an expanded secondary pipe at the joint to eliminate any restriction. The secondary pipes have also been changed a little and now merge together better at the collector. 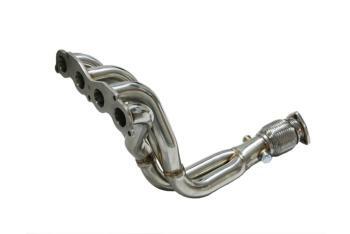 The header is constructed with 100% stainless steel with 3/8” thick flanges that are double welded and then ported for optimum flow. The piping is extra thick for added strength and to allow better weld penetration. These strength features add longevity and make a header that will be able to take the abuse of a firmly mounted K-swap engine. The strong interlocking flex-pipe can handle a lot of heat and has a 2.5” ID (Inside diameter). It flows very well and absorbs engine movement. Like our other headers, they are designed to fit most K-swap chassis perfectly. 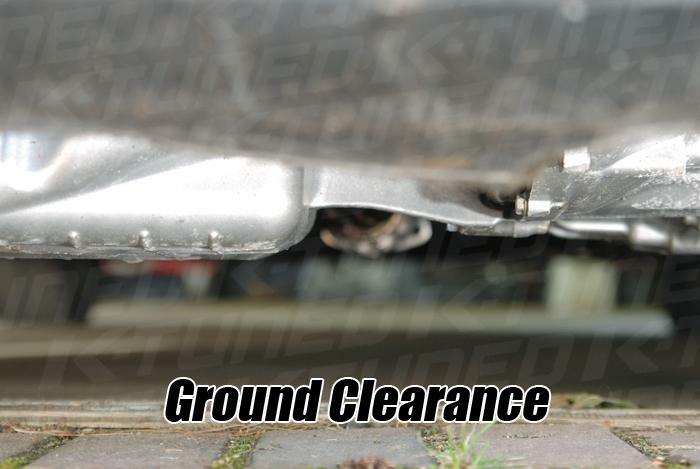 The header does not interfere with shifter mounting kits and is well centered in the exhaust tunnel. 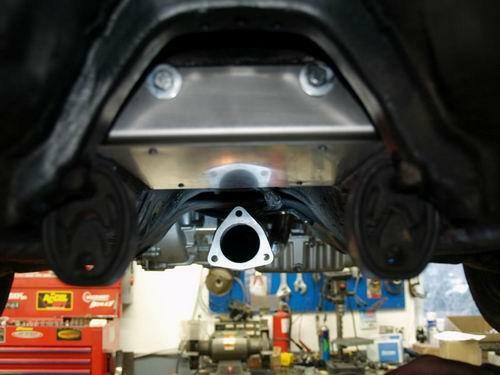 The 3-bolt exit flange prevents leaks and allows for installation to the existing exhaust piping with minimal modification. 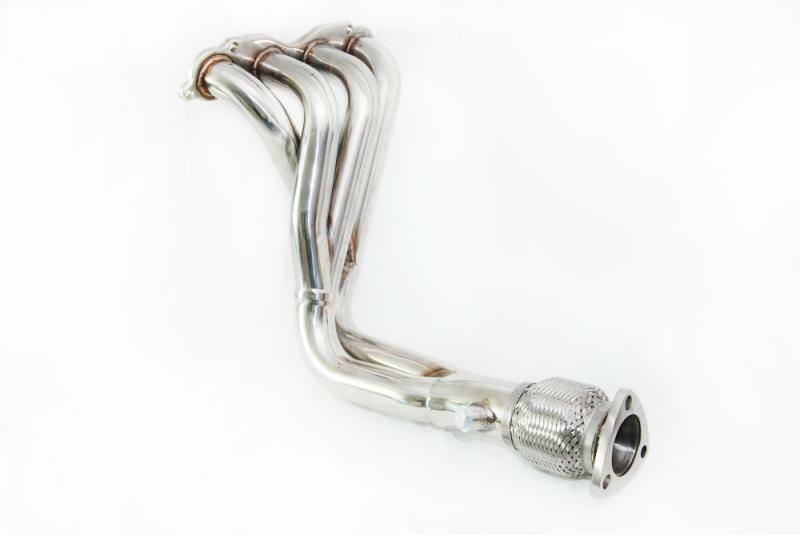 Please note that all of our headers will require some exhaust welding for installation.